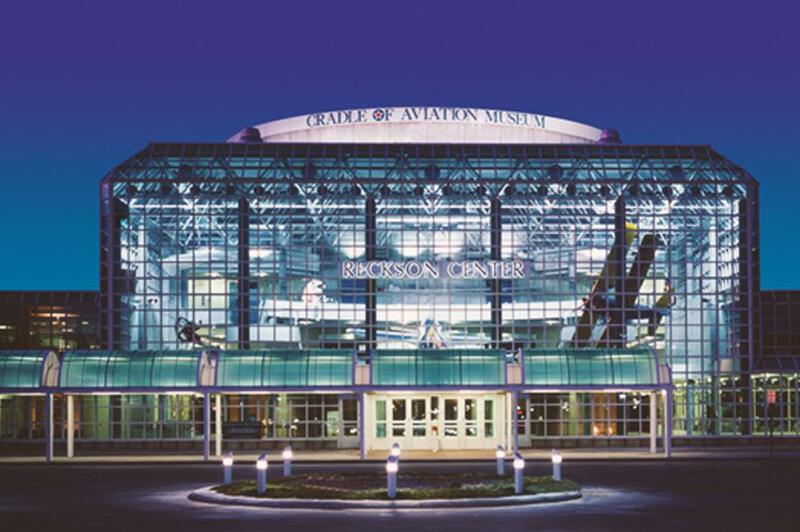 Garden City is home to Long Island’s air and space museum, the Cradle of Aviation, named in honor of the cluster of local airfields where many historic flights occurred in the 1920s. You can easily make this dynamic museum the centerpiece of a winter weekend excursion to Garden City, only an hour outside of New York City, which has several cultural attractions and fun diversions for the whole family. 7 pm: Kick off the weekend with some freshly made, brick-oven thin crust pizza at local favorite, Grimaldi’s Pizzeria, which receives high marks (4 stars) on Yelp. They don’t serve slices so be sure to come with a group—or a big appetite. Bonus: You probably won’t have to wait as long as you would for a table at the chain’s iconic NYC locations. 9 am: When it’s time for breakfast, head over to the Garden City Coffee Shop, a top pick for morning fare on TripAdvisor. Chocolate chip pancakes, the southwestern wrap, and eggs benedict are just a few of the coffee shop’s delicious morning specials. 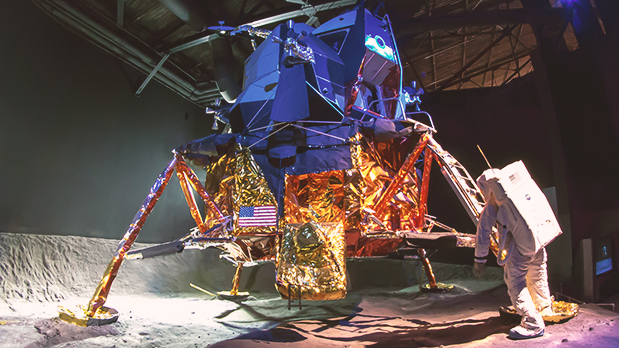 10 am: You don’t need to be an aerophile to enjoy the 150,000-square-foot Cradle of Aviation, which features 75 air and spacecraft, from a hot-air balloon to an actual Apollo Lunar Module. The museum has eight chronologically arranged galleries and more than 30 hands-on exhibits, a half dozen cockpits to climb into, and many short films on view. You can also immerse yourself in one of the most powerful virtual reality experiences in the world in the JetBlue Sky Theater Planetarium, which boasts a state-of-the-art, high-resolution digital projection and sound system. In addition, the National Geographic Leroy R. & Rose W. Grumman Dome Theater is specially designed so everyone has the best seat in the house to enjoy films at 10 times the size of a conventional frame—the highest quality in the world. It even has an indoor carousel in an adjacent building! Two hours should be plenty of time to see the entire museum. 12 pm: Refuel for lunch at The Burger Spot, a top restaurant in Garden City on TripAdvisor. In addition to fresh grass-fed 100% USDA Angus beef burgers with an array of topping combinations, they also have seafood and poultry options as well as several delicious salads. 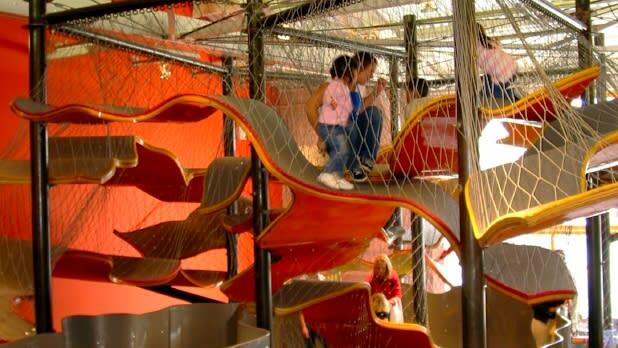 2 pm: Younger kids will get a kick out of the Long Island Children’s Museum. The 40,000-square-foot museum considers itself to be a “learning laboratory” where visitors of all ages can experiment and play with hands-on exhibits such as the Bubble Room and a two-story climbing structure. 5 pm: Your next stop—Roosevelt Field—will keep the whole family happy, fed, and entertained for the rest of your evening with 270 shops, from major department stores to popular national chain stores; a Dining District with fast-casual eateries as well as sit-down restaurants; and an 8-screen AMC Loews Theater. 9 am: Grab a quick breakfast at the Seventh Street Gourmet Deli featuring egg sandwiches, omelettes, French toast, pancakes, and fresh-brewed beverages. 10 am: Head over to the Nassau County Firefighters Museum and Education Center, a nearly 10,000-square-foot interactive facility where visitors can explore hands-on exhibits that feature antique and contemporary fire gear and an interactive gallery designed to teach kids about fire safety. 12 pm: Visit the Hofstra University Museum, which has a permanent collection of approximately 5,000 works of art in varied media dating from the ancient to the contemporary, and includes American artists of the 18th through 21st centuries. Admission is free. Kids can complete an activity backpack (and take home completed art projects) or use an interactive touchscreen kiosk or iPod to enhance a self-guided kid-centric tour—all for free. Share your New York adventures on Instagram and Twitter with #ILoveNY and #iSpyNY and tag us on Facebook!